How to apply delete hold invoice right ? 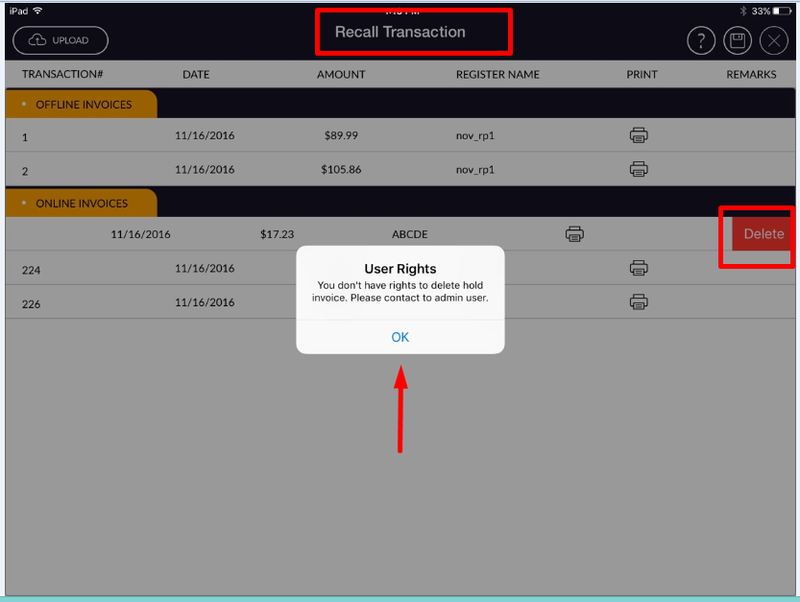 This right is for permission of delete hold transaction from recall. Setting -> staff -> user list -> open user in edit mode -> open user rights tab -> POS rights -> Cash register right -> delete hold invoice. When Delete hold invoice is enable then its allow to delete hold invoice. 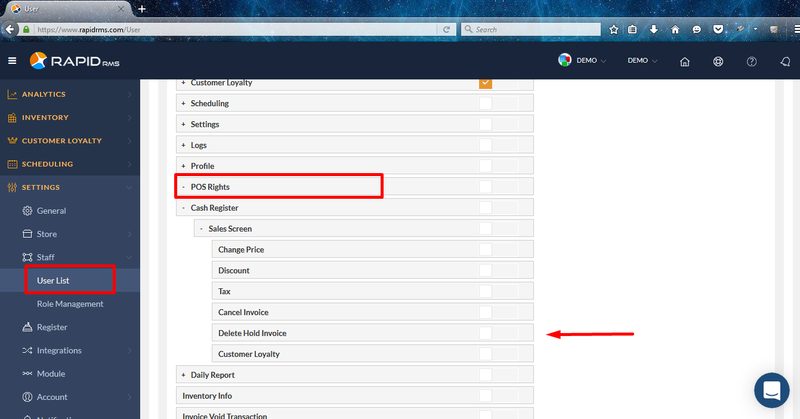 When if user have no permission to delete hold invoice then from POS screen recall hold invoice can not deleted.